If there’s one forecast you can rely on in the agriculture business, it’s that things won’t turn out the way you expected — and we’re not just talking about the weather. From feed to fuel prices, building structures to employee safety, theft, vandalism, chemical hazards and equipment failure … you name it and it’s a risk you face almost every day. Fortunately, another thing you can rely on is the strength of your Farm Insurance coverage through Secure Insurance Solutions — the name already trusted by scores of farm owners throughout Ontario. If you value the financial future of your agribusiness, you absolutely must have Farm Insurance. Without it, you risk the very survival of your farm. We can protect you, your employees, your property, materials and equipment and many other elements of your Ontario agribusiness against most risks, at some of the most competitive rates available. We offer first class protection from some of the nation’s leading insurers at prices you’d find difficult to beat — all backed by a reputation for outstanding, continuous support and service. 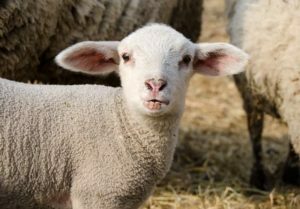 What Does My Farm Insurance Cover? Farm owners and managers come to Secure Insurance Solutions for their Farm Insurance because we know and understand their business and customize their protection from an extensive range of coverage options. These ensure that your Farm Insurance is tailored to meet the unique nature of your business. Accidental pollution coverage and insurance against other chemical hazards. 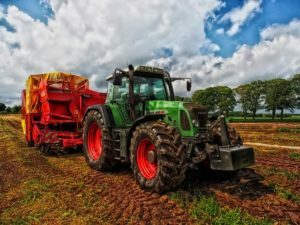 What is Farm Equipment Insurance? You need special Farm Equipment or Tractor Insurance coverage for much of the equipment on your farm, especially high value machinery, including tractors, combines, seeders, sprayers, balers and irrigation equipment. 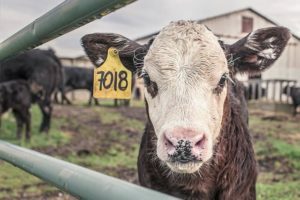 Higher values can be incorporated through endorsements on your main Farm Insurance policy or as a standalone policy — either listed separately or through a combined policy. Equipment Insurance protects you against damage or loss to machinery and can include coverage to compensate you for loss of use. Agriculture is a backbone industry of the province’s economy and, over the years, we’ve built up a team of local Ontario Farm Insurance experts who can save you time, money and hassle in getting the protection you need. If you already have Agribusiness Insurance, our professionals will review your existing coverage free of charge, for opportunities to improve coverage, save you money or both. We’ll provide guidance on ways to manage the risks on your farm, we’ll update you on upcoming regulatory changes that may affect you, we’ll answer your questions, and, if you need to file a claim, we’ll help smooth and speed up the process. Secure Insurance Solutions won’t sell you insurance you don’t need. We won’t waste time in your busy schedule to explain things you already know. And we won’t forget about you as soon as you buy your insurance — we’ll keep in touch. When you need to make changes to your coverage, we’ll do that for you, quickly and efficiently. We can deliver an outstanding Farm Insurance plan for you at a great price, and you can check out that claim without cost or obligation simply by clicking on our Free Quote request button. If you do it now, you could be taking a critical first step to saving money and getting protection where you might otherwise be exposed.